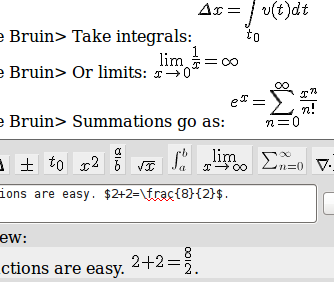 Use beautifully rendered LaTeX math in chat. To invite a friend, link them after you enter a room. Quickie - Quick equation image.